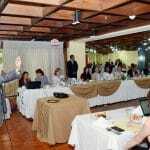 On the 22nd and 23rd of August, the UN Committee on the Rights of Persons with Disabilities held the first dialogue with representatives from the Guatemalan government to assess advancements in the country in complying with the United National Convention on the Rights of Persons with Disabilities (CRPD). The Committee, composed of 18 independent global experts, was engaged in dialogue for 6 hours with representatives from the Ministries for Social Development and Education, the National Disability Council (CONADI) and the President’s Commission for Human Rights. Guatemala ratified the CRPD in April 2009, and in accordance with article 35.1 of the Convention, presented its initial report on compliance with the CRPD in November 2013. The Committee held the dialogue on its 16th Session, and in the final observations on Guatemala, a number of points stand out. Guatemala ranks 128th on the UN Human Development Index, but the country’s economic insecurity and marked material deficiencies are in no way a justification to abandon the accomplishment of the rights of persons with disabilities. Even more seriously, one cannot violate these rights by using these as justifications. The Committee expressed its profound preoccupation with the situation confronting persons with disabilities who are institutionalized, particularly when this remains the sole approach in addressing disability. This situation is perpetuated through international development and voluntary programmes. Of particular note were the grave violations of rights, including torture, cruel, inhuman and degrading treatment that continue to occur systematically in the National Mental Health Hospital, Federico Mora. The Committee also expressed concern about the lack of political will by authorities and responsible institutions to comply with preventive measures ordered by the Inter-American Commission on Human Rights to protect the rights and personal integrity of persons institutionalized within this facility. Representatives of the State claimed that these measures have been partially accomplished, highlighting the transfer of 21 geriatric patients from the hospital Federico Mora to the Foundation Esperanza de Vida located in the Eastern department of Zacapa. Notwithstanding the insistence of the Committee in highlighting the fact that deprivation of freedom goes on, it was also possible to see the lack of understanding by some representatives of the disability council, who suggested having the certainty that this institutionalization was done with a human rights focus. In the same way, and equally prominent are the high number of children with disabilities who are abandoned. For example the country rapporteur, the Spanish Ana Peláez Narváez, signalled the strong tendency towards ‘voluntarism’, which she defined as the lucrative activity realized by non governmental organisations (NGOs) charging foreign volunteers a monthly fee to execute this ‘voluntary’ work perpetuating institutionalization. In these institutions, both private and public, such as the Obras Sociales del Santo Hermano Pedro in Antigua, Hogar Seguro and the Centro Psicopedagógico, the latter both administered by the Secretariat for Social Well-Being of the Presidency, host a high number of children and adolescents with various disabilities, especially intellectual impairments. Within these facilities prevails inactivity: children and adolescents are kept in closed beds, treatment considered inhuman under human rights standards. Those interned receive no educational or rehabilitation programmes, and even minimum health care is scarce and of low quality. Aggravating the institutionalization of persons with disabilities, be they children, adolescents, adults or older people, is the fact that at the point where they are institutionalized, they are stripped of their legal capacity. This is because the current regulation of institutionalization informally designates the director or the institution as the legal guardian of persons under his/her administrative responsibility. This legal designation executed without any judicial mediation, confers to the guardian the right to decide on medical or surgical interventions, invasive treatments, including sterilization. Free and informed consent that persons with disabilities should provide, and that under the CRPD is constituted as an indispensable measure in the provision of human rights, has not even been considered within short or medium term plans of government authorities. a. Urgently define a strategy for de-institutionalization of persons with disabilities, with deadlines, sufficient resources and specific evaluation measures. b. Provide sufficient resources for the development of support services including personal assistance within local communities that allow persons with disabilities, irrespective of their disability, gender or age to freely choose with who and where to live. c. Provide support to families and children with disabilities to stop the breaking down of families and the placement of persons with disabilities in institutions. d. Abolish the placement of children of all ages in institutions. The Committee adopted a document with final observations aimed at contributing towards better compliance with all human rights of persons with disabilities, enshrined in the CRPD. However, the situation of institutionalization and its consequences, as with the grave violations of human rights within these facilities, was a prioritised preoccupation in the country assessment. 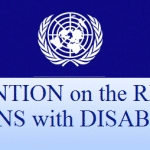 For the Committee and for the most active human rights defenders, it is unquestionable that de-institutionalization should be prioritised, alongside the guarantee of minimum standards so that all persons with disabilities, irrespective of their impairment or needs for support, are able to live independently and be included within the community.